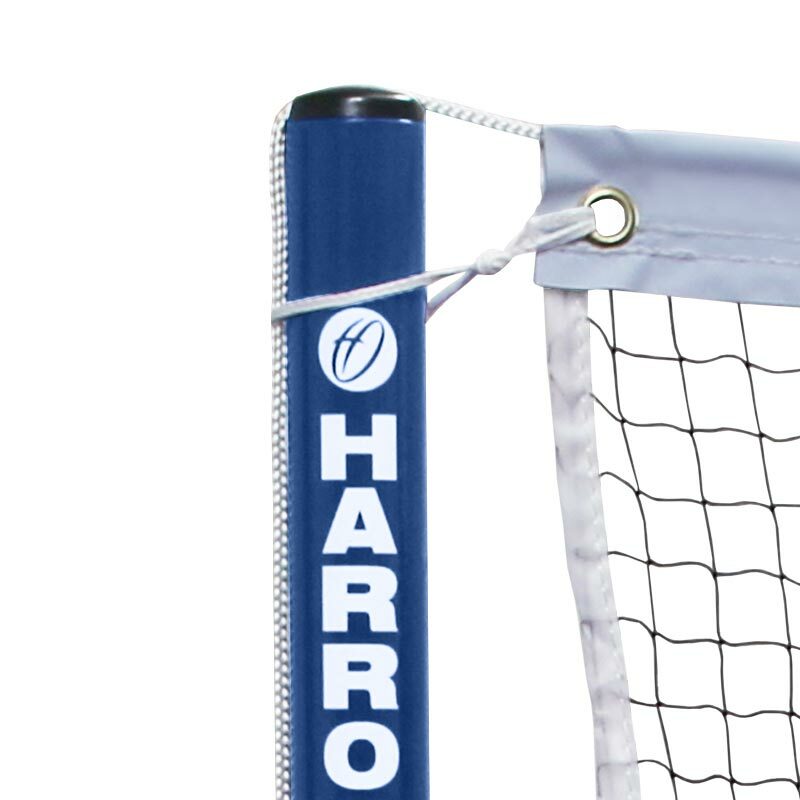 Harrod Sport ® Wheelaway Club Training Badminton Posts are recommended for club and school use. These posts are ideal for practice at all levels of the game. 40mm steel uprights complete with cleats and grooved top. The 'H' shaped based have built in weights and are fitted with rubber pads for floor protection. Offset wheels allow you to maximise space between courts whilst still conforming to required safety standards. Netting can be drawn tight without movement of the upright and base. Uprights and bases do not protrude into court area. 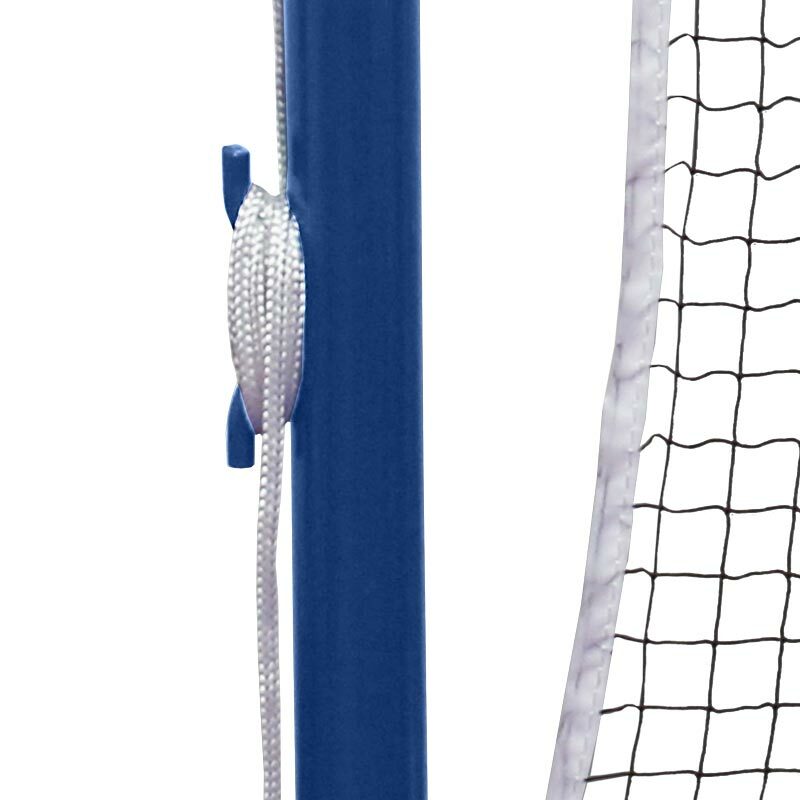 6.1m long net included with the Include Nets option. Conforms to BS EN 1509. 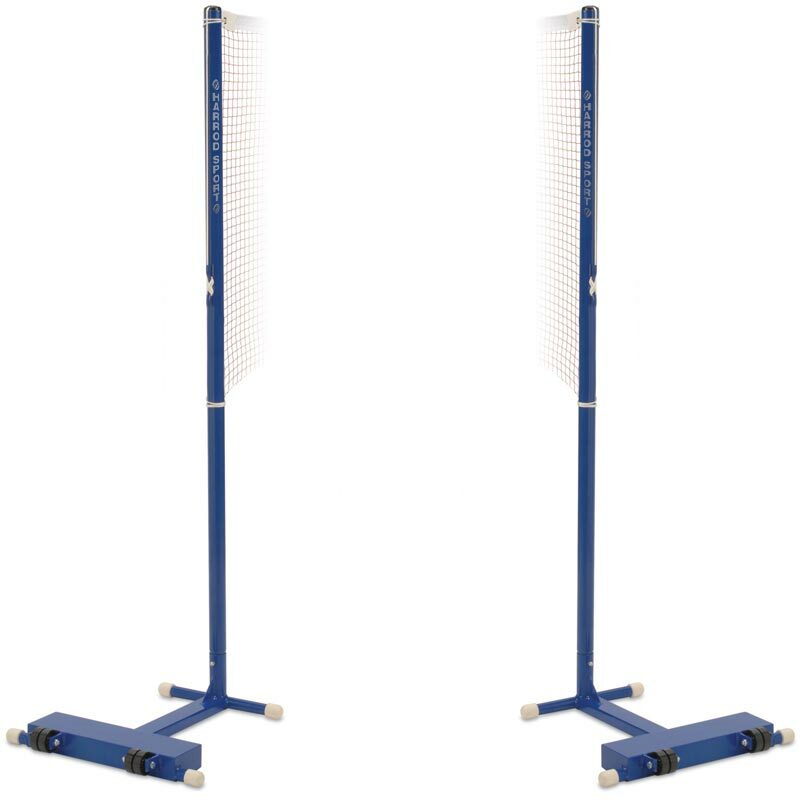 Lost the instructions for your Harrod Sport Wheelaway Club Training Badminton Posts? Please Click Here to download a new copy.